It’s true—and in this adventure, Ethan and Emily Tuttle learn why. Growing up, they’ve taken for granted the many things they use: clothes, cars, homes, backpacks—even a simple pencil. 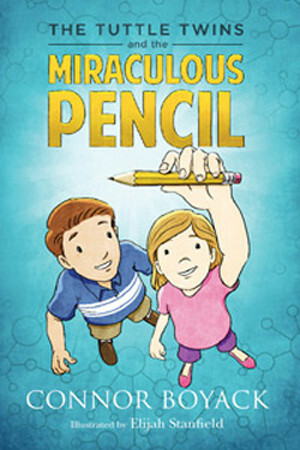 In this fun field trip to an amazing factory, the twins learn not only how a simple pencil is made, but how this process is the key to prosperity in our modern age.